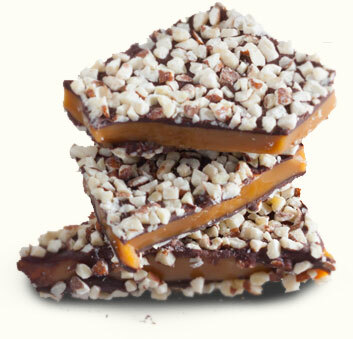 and we’ll include a FREE toffee taste in every order over $50. 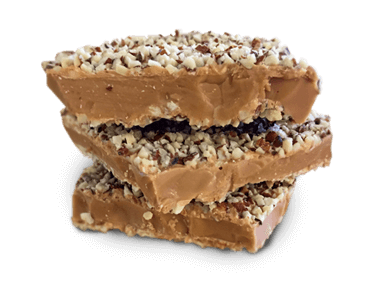 When Aunt Mae would lovingly make up her special batches of Toffee on those wintry Christmas Eves so many years ago – who would have thought that any other flavor could compete with her delightfully delicious treats? 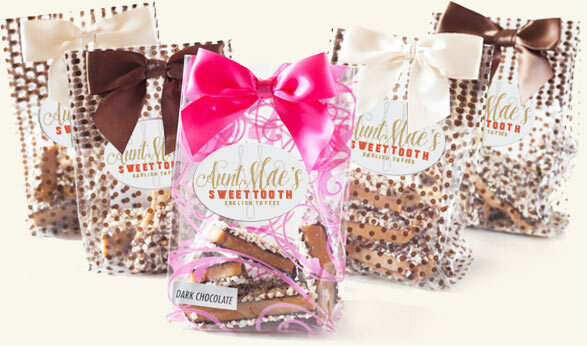 And yet, Aunt Mae’s Sweet Tooth has created, taste-tested and perfected three new Toffee flavors that rival our classic Toffee for rich, rewarding goodness. We think you’ll have difficult time deciding which is your favorite. 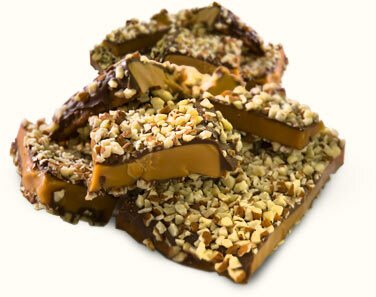 Aunt Mae’s Peanut Butter Crunch Toffee is a peanut butter lover’s dream! 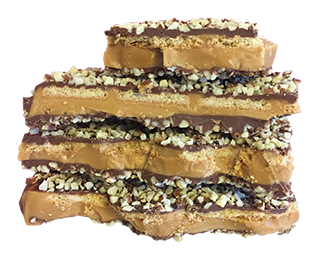 Our classic milk chocolate English Toffee with a layer of peanut butter mixed with more milk chocolate! And now, in the middle of our crunchy toffee base are Peanut Butter Cookies! 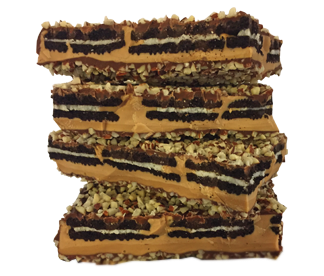 24 k Toffee is Aunt Mae’s newest creation. Here, we have replaced our chocolate with the New Hershey’s Gold bar. In every batch we use sixteen Hershey’s Gold bars, creating a yellow brightness and a rich buttery sensation of flavor. You will taste the value in this toffee. 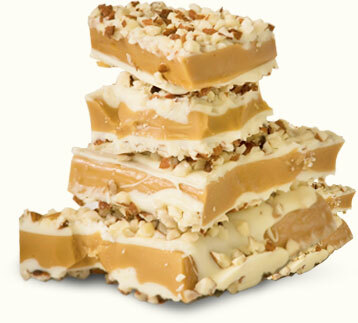 24k Toffee is our chefs’ favorite flavor thus far. An assortment of our chocolate toffees.